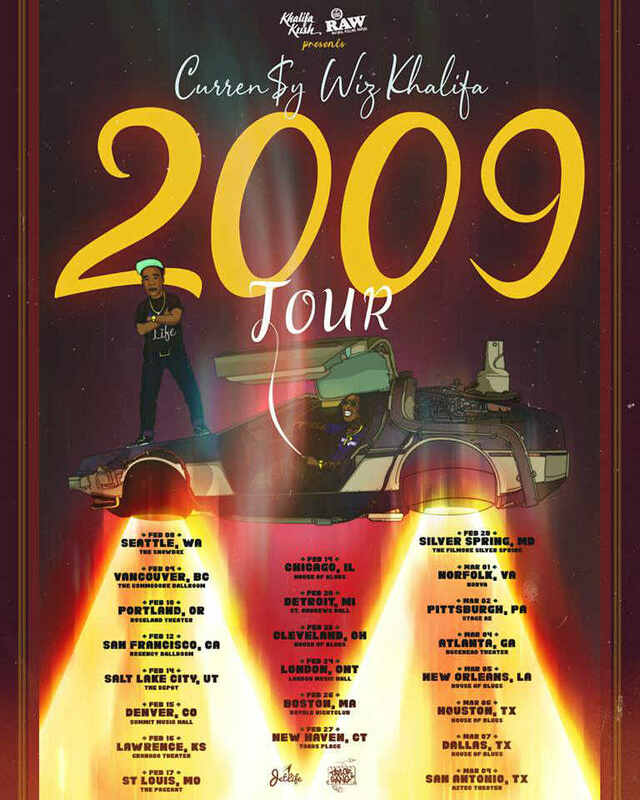 Wiz Khalifa and Curren$y have announced co-headlining 2019 summer dates billed as the 2009 Tour. The two rap artists have collaborated on over 20 songs since they teamed up for the How Fly mixtape ten years ago in 2009. 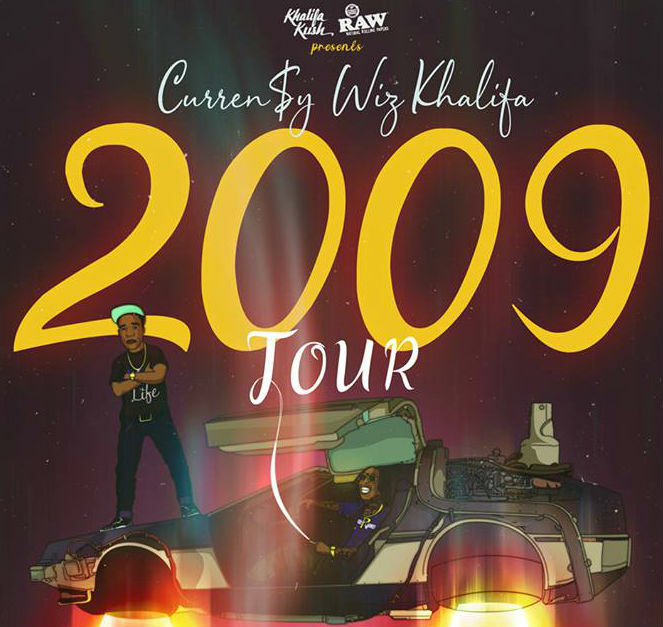 Their most recent collaboration, "KhalifAndretti" (which samples Outkast's "Aquemini"), was featured on Curren$y's Weed & Instrumentals 3 mixtape last month, and the two released a live EP together called Live in Concert in 2016. The North American shows are scheduled to begin in February. Stay tuned, we will be updating this page if additional concerts or information becomes available. Wiz Khalifa, Moneybagg Yo, Chevy Woods, and DJ Drama at EXPRESS LIVE! When do Wiz Khalifa 2019 tour tickets go on sale and what is the presale code? The general public on-sale begins as early as January 11, 2019. Presales for VIP packages, Citi cardmembers, Live Nation, LN Mobile App, Ticketmaster, and local venues / radio is happening now. Facebook presales will follow. Citi cardmembers can use the passcode 412800 for the presale, but you will need a Citi card to complete your purchase. The Live Nation / Ticketmaster presale password is CELEBRATE and the LN Mobile App code is COVERT. Keep in mind, each date is different and details are subject to change. Click through the individual concert links for more information about the show you're interested in. To get the most up-to-date information, we recommend following Wiz Khalifa on his social media accounts and signing up for Wiz Khalifa's email newsletter, in addition to checking your local venue's email newsletter and social media. For concert tickets and more, check out the Wiz Khalifa Zumic artist page.